German-born director Wolfgang Petersen (DAS BOOT, THE PERFECT STORM) returns to the sea for POSEIDON, a gripping remake of Ronald Neame and Irwin Allen's 1972 disaster classic, THE POSEIDON ADVENTURE. 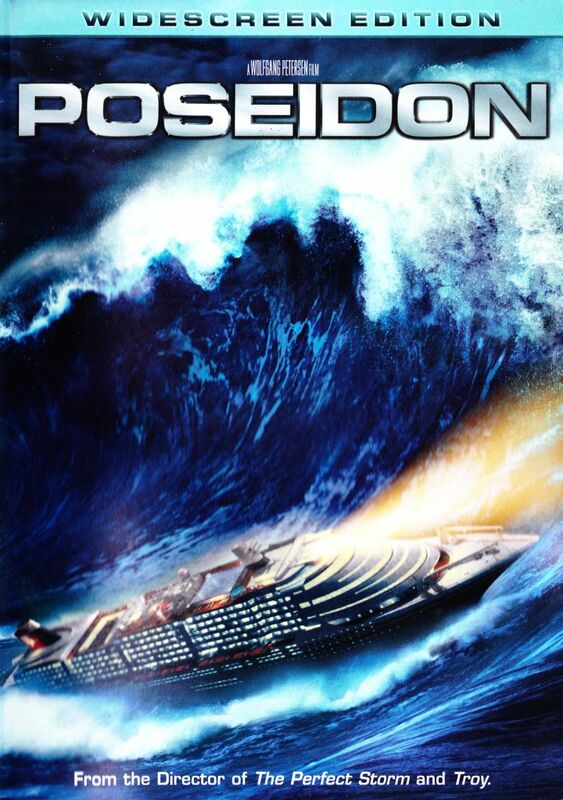 As passengers celebrate New Year's Eve aboard the massive ship Poseidon, a rogue wave devastates the luxury liner, turning it upside down as windows smash, fires break out, electric wires dangle dangerously, and people try to run for their lives--with seemingly nowhere to go. Despite Captain Bradford's (Andre Braugher) pleas for people to remain calm in the ballroom, a small group of people go against his orders and attempt to make their own way to the bottom of the ship, which is now the only section above water. Led by a low-rent gambler named Dylan (Josh Lucas) and the onetime mayor of New York City, Ramsey (Kurt Russell), and including a suicidal architect (Richard Dreyfuss), the former mayor's daughter (Emmy Rossum) and her fianc� (Mike Vogel), a stowaway (Mia Maestro), and a single mother (Jacinda Barrett) and her young son (Jimmy Bennett), they band together as they battle the elements, fight to save their lives, and learn something about themselves along the way. Although the special effects are cutting-edge, starting with the long, complex opening shot, Petersen makes sure to instill humanity into the characters, letting the film be driven by the story, not just the mechanics. To ensure the integrity of the project, one of the executive producers is Sheila Allen, who was married to disaster master Irwin Allen (producer of such films as THE TOWERING INFERNO, VOYAGE TO THE BOTTOM OF THE SEA, and THE SWARM) until his death in 1991, and played Gina Rowe in THE POSEIDON ADVENTURE (under her maiden name, Sheila Mathews). Fans of the Black Eyed Peas will get a kick out of Fergie as Gloria, the ballroom singer. Cast: Andre Braugher, Emmy Rossum, Freddy Rodriguez, Jacinda Barrett, Jimmy Bennett, Joshua Lucas, Kelly McNair, Kevin Dillon, Kirk B.R. Woller, Kurt Russell, Mia Maestro, Mike Vogel, Richard Dreyfuss, Sheila Allen, Stacy Ferguson.